The snow in Vancouver was responsible for over 4,300 calls to ICBC over damage and accidents from the road conditions. 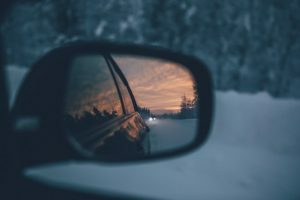 With roads in the lower mainland covered in slush and snow, the goodfirm ICBC car accident lawyers want to extend a warning to take extra caution on the roads this year in order to avoid being found responsible for an accident. In some cases failing to use snow tires in dangerous conditions can lead to a driver being found responsible for an accident (Foster v. Perry and VSA Highway Maintenance Ltd., 2005 BCSC 1214). Take extra precaution when driving this holiday season and if you or anyone you know is injured in an accident, give the goodfirm ICBC car accident lawyers a call. I’ve been browsing on-line more than three hours as of late, but I by no means discovered any attention-grabbing article like yours. It’s pretty value enough for me. Personally, if all web owners and bloggers made just right content as you did, the net shall be a lot more useful than ever before. “Dignity is not negotiable. Dignity is the honor of the family.” by Vartan Gregorian.